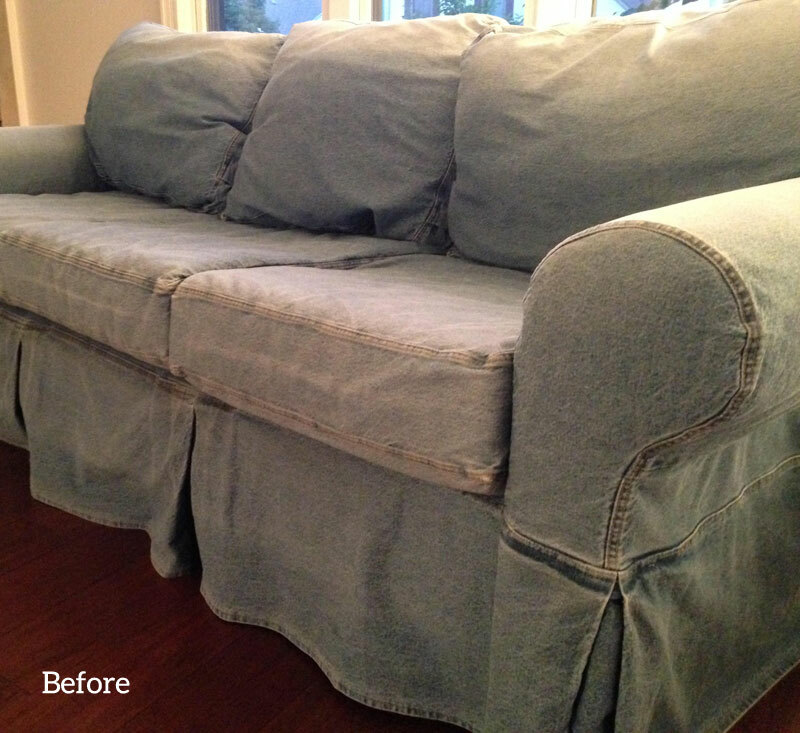 Beth purchased her Pottery Barn Basic Sofa back in 2003 with an indigo denim slipcover. After many years of wear, wash and exposure to sunlight, her original slipcover shows its age but the sofa itself is still going strong. 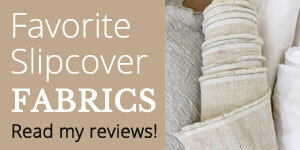 Unfortunately, Pottery Barn no longer makes replacement slipcovers for their older models from the Basic collection. They changed the size, their newest slipcovers don’t fit. No problem. 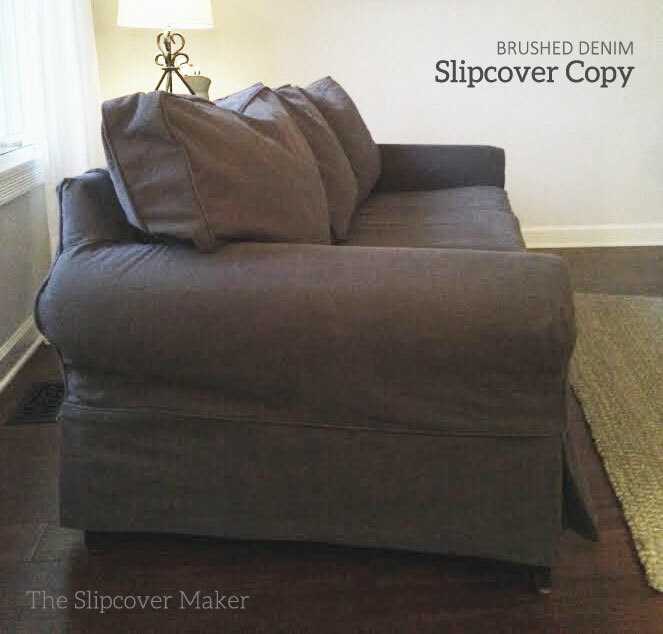 I can make a slipcover copy! 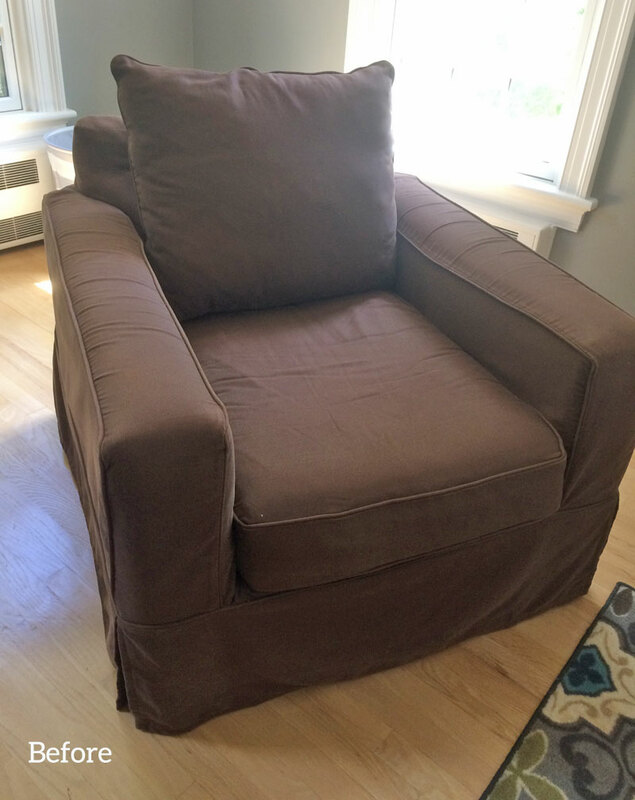 Beth dropped off her old Pottery Barn slipcover to use as a pattern. She chose Beefy Brushed Bull Denim in color Graphite by Carr-Textile. This 12 oz. cotton denim is sanded, brushed and dyed to take on a broken-in look after it’s washed. I updated the slipcover by shortening the skirt a couple of inches to expose the sofa legs a bit. 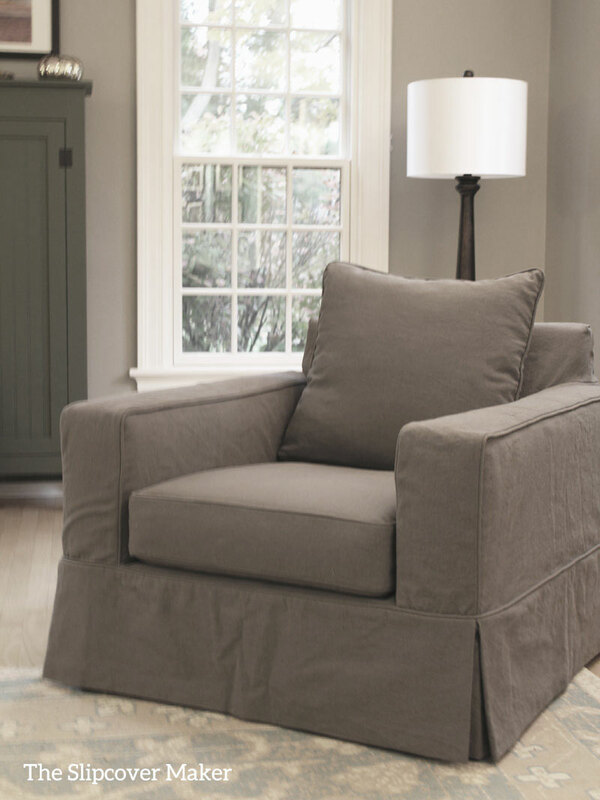 Like most older sofas and chairs, the cushion filling compresses overtime and no longer fills out the cover. Beth is working on refreshing her back cushions with help from my DIY instructions I posted here. 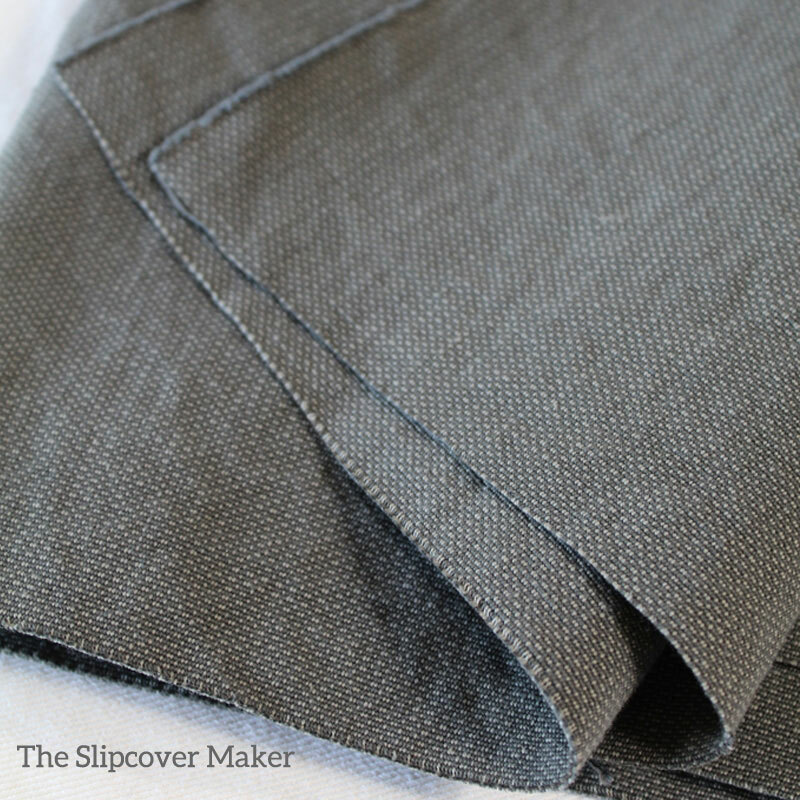 This entry was posted in denim slipcovers, sofa slipcovers and tagged grey slipcovers on October 2, 2016 by slipcovermaker.